Isaac Brekken/Getty ImagesSpeaking with Russian station Channel 1, Khabib Nurmagomedov was extremely candid about his thoughts on UFC, McGregor, and the bus attack that helped set up their fight. Khabib Nurmagomedov has been busy since defeating Conor McGregor to retain the UFC lightweight title. In an interview with Russian media, Nurmagomedov reportedly said the UFC may have helped organise McGregor’s bizarre bus attack earlier in the year. According to a translation of the interview, Nurmagomedov says he was suspicious that McGregor and his team knew exactly where to go and had brought cameras. During their recent match, Khabib Nurmagomedov forced Conor McGregor to tap out to retain his UFC lightweight title in the biggest fight in the history of the company. Since then, Nurmagomedov has made the most of his star power,using his newfound leverage with the company to defend one of his teammates, enjoying a visit with Vladimir Putin, and even teasing a move to WWE. But Nurmagomedov’s most compelling interview may have been saved for Russian media. During a 90-minute interview with Russian station Channel 1, Nurmagomedov reportedly went into detail about his training and weight cut, and made an explosive accusation towards UFC, stating that he believed the company at least knew about and possibly helped organise Conor McGregor’s infamous bus attack. Nurmagomedov cited the bus attack as one of the inciting incidents for his post-fight jump into the crowd and was clearly an event that left an impression on him. 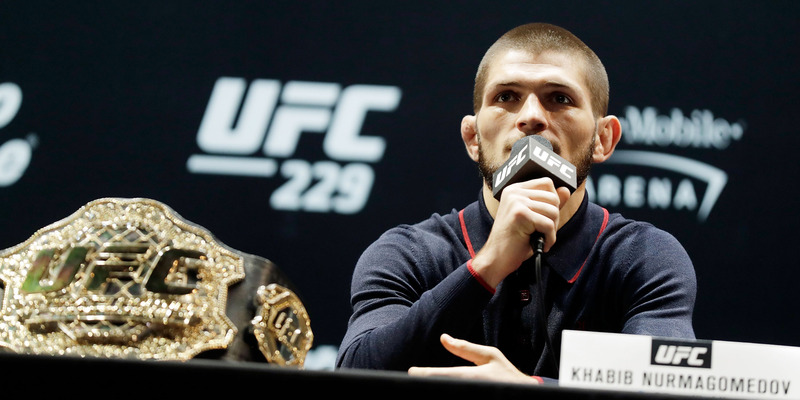 For now, though, it seems everything worked out for the best for Nurmagomedov – he’s the lightweight champion and can get a big-money rematch if he ever feels like fighting McGregor again. You can read more from Nurmagomedov’s interview as translated by MMA Mania here.